The word “FEAR” had to be typographically solved in a way that makes the viewer “feel” it. 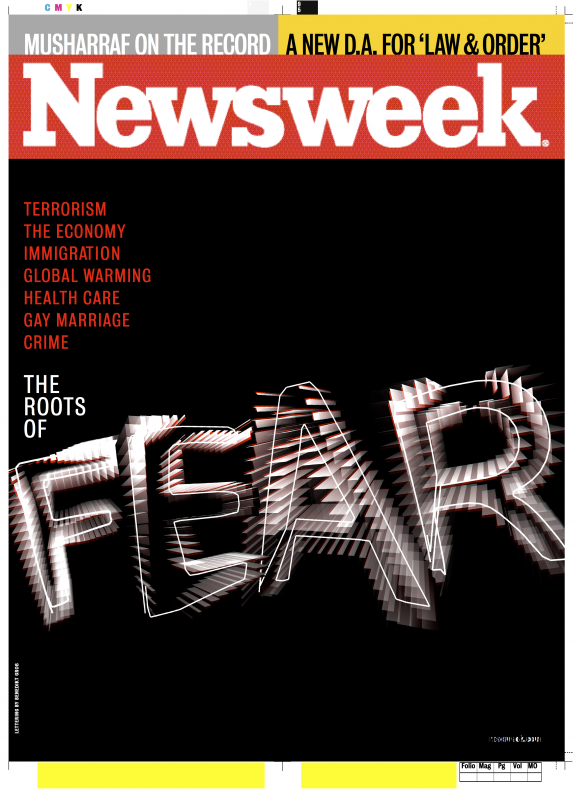 Bruce Ramsay’s (Newsweek Magazine, Director of Covers) briefing was to do a typographic solution which would clearly depict the sensation of fear without depicting the conventional sources of fear and would do so with urgent elegance. So we agreed not to illustrate fear by depicting a scary spider or showing a person acting afraid. My starting point was my animated type from my Raumstaben project. Unfortunately in the end a political event replaced the “FEAR” cover story so it was not published.